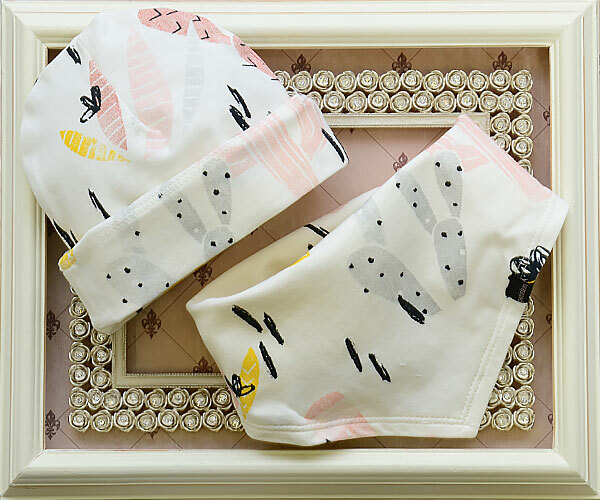 $12 - Matching other new arrivals, this hat and bib set are just in from Petit Lem. Both are dressed in a cactus print in yellow, grey and pink. Separate these pieces or keep them together, either way they are simply adorable!